Any delay will have to be agreed by all 27 EU member states and Mrs May is heading to Brussels on Thursday to discuss the matter with fellow leaders. When her letter to the EU actually emerges, the final wording will be key – will she rule out ever seeking a longer delay? Will the text be clear that if Parliament fails its second deadline then the PM would argue for leaving without a deal done? Ultimately remember, the decision on the length, and conditions attached is down to the EU, not the UK. But as things stand, the prime minister seems to be ratcheting up the pressure for the next few weeks in the hope of pushing her deal through a reluctant Parliament, rather than accepting that the dilemma and level of disagreement is so profound, that a longer rethink might be what is required. He said a third “meaningful vote” could not happen in the coming days if it was “substantially the same” motion. 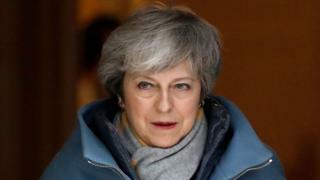 Mrs May had warned Brexiteer Tories that a longer extension would be needed if her deal did not get through Parliament. Norman Smith said that if the EU agrees to a three-month delay, it opens up the possibility that the third meaningful vote could take place after next week. At a news conference in Brussels, Mr Barnier said it was up to the 27 EU leaders to decide whether to grant a delay, based on what was in the “best interest” of the bloc. Mr Barnier also warned that UK MPs voting against “no deal” would not prevent it from happening, adding that “everyone should now finalise all preparations for a no-deal scenario”. 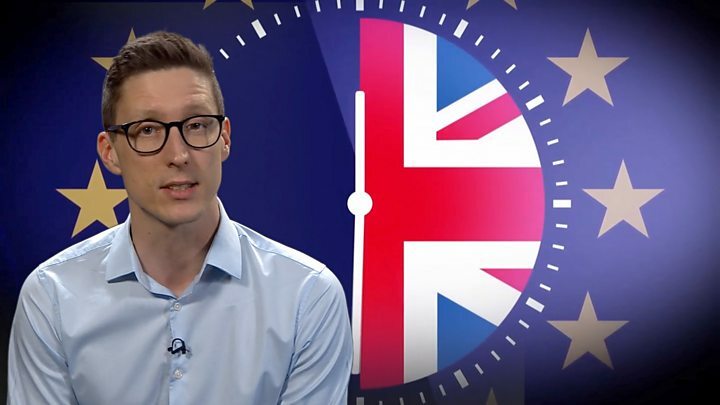 BBC Europe editor Katya Adler said the EU’s final decision on a delay might not be given this week, with talk of an emergency summit on 28 March. Mr Corbyn also held “constructive” talks with the Westminster leaders of the SNP, Liberal Democrats, Plaid Cymru and Green Party about the potential to unite around a closer future relationship with the EU, a Labour spokesperson said.